The Internet has provided many opportunities for people to take more control of their money through online investing. You can use the Internet as an information resource, day trading or a way to monitor your investments. The abundance of information on the Internet can be both a blessing and a curse. While you are able to consult multiple resources, it may be difficult to tell which ones are worthwhile. Getting some tips about online investing before you start can help you to make better judgments. It used to be that you gave your money to an investment professional and only saw a statement once in a while to let you know how it was doing. You often had little say in how it was spent or when the investments were changed around. You don't have to be a day trader or a stock market guru to use the Internet to do some of your own investing. You can find resources, do research and even buy stocks or mutual funds online. All it takes is some preparation and knowledge to get started. Here are some tips to get you started investing online. You will be overwhelmed by the advice you come across on the Internet about stocks, companies and online investing opportunities. Just because something is on the internet doesn't mean it is necessarily true. You have to not only consider the information you are reading, but also the source of the information. Verify any information before you act on it. The chance that any insider information is actually being released on the internet for public consumption is very low. Before you choose to use any website to buy stocks, bonds or funds, be sure to check out the reputation of the company first. Look for consumer feedback on the web about the company. You want to know how you can deposit money with them, how quickly they execute trades and what kind of support they offer. You also want to make sure you can withdraw your money quickly if necessary. Also, be careful to verify any claims that the company makes about trading speed and ease. You don't want to be in a situation where what they can actually deliver is less than what you need. If you are ready to make an investment, then timing becomes important. You want to do it now. You really don't want a power outage, Internet problems on your end or server problems at the company to interrupt your investment. Be sure the company you choose has a phone system or other way to make a trade if there is a problem. Find out what the procedure is and put it somewhere where it will be handy if you need it. Delays and breakdowns happen, but they are not a problem if you are prepared for them. You are not a professional, so you shouldn't try to invest like one. Professional traders have millions of dollars backing them up and years of experience. They know the risks and they are prepared to face them. You are not. Don't risk your nest egg by chasing little-traded stocks, highly speculative investments or mythical insider tips. If you wouldn't do something offline, then being online doesn't suddenly give you the skills to do it. Online investing is a great way to take control of your financial future, but you have to be careful. Just as an investment adviser would do, be sure you are invested in a wide range of companies and sectors so that you are reasonably unaffected by market volatility. Beyond that, you may also want to diversify by having someone else invest some of your money so your financial future doesn't rely entirely on your performance. 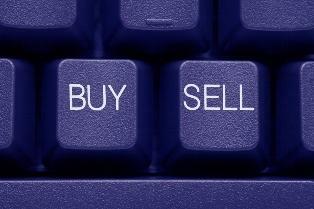 The decision to do your own investing online is not one to be taken lightly. Before you do it, make sure you have educated yourself about trading online and about investing in general. The education process should be constant. You can never know everything about investing and you will only do better by learning more. If you find a situation you are uncertain about, don't do anything until you seek out and find the correct information.